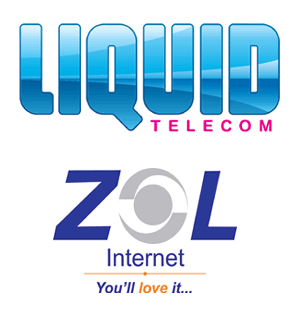 We just got news that Zimbabwe Online (ZOL) has been acquired by the Liquid Telecommunications Group. ZOL is now officially part of the Liquid Telecom Group. From the information available to us so far, ZOL will remain an independent company in terms of branding and operations. ZOL is one of Zimbabwe’s biggest ISPs offering fibre, VSAT and wireless internet services around Zimbabwe. Liquid Telecom, a subsidiary of the Econet Wireless Group, is a major fibre player in Southern Africa and currently working on one of the longest fibre networks in the region spanning Lesotho, South Africa, Zimbabwe, Zambia and the DRC. Liquid Telecom also operates satellite internet facilities in the United Kingdom, Botswana, Nigeria, Zimbabwe, Lesotho, Somalia, Burundi, Niger and Kenya. More on Liquid here. With the new acquisition, Liquid’s Zimbabwe operations will become Zimbabwe’s biggest largest internet company in terms of infrastructure, volume of traffic and customer base. So far it looks like ZOL will become the new Ecoweb for the Zimbabwe operations of the Econet family. Ecoweb, an Econet ISP subsidiary, has mostly been invisible over the past year or so as most of its services are now offered through the Econet Broadband division that was launched in October 2010. We will be posting more details of the acquisition later. Thanks for sharing this important information regarding Liquid telecom acquires Zimbabwean ISP,ZOL.